The beautiful hills of the south-eastern corner of the Alexander Valley AVA are where our premium Merlot grapes were grown. Basking in hot summer days but cool nights thanks to the influence of the adjacent Russian River Valley, the carefully-tended vines were ideally situated to ripen their fruit to perfection. 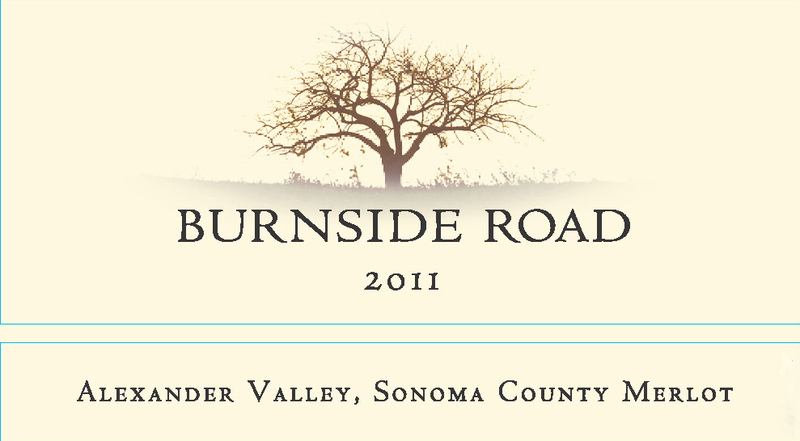 Our Burnside Road 2011 Alexander Valley Merlot is a true representation of this region. A deep color, the slightly herbaceous nose shows hints of plum and tobacco leaf. In the mouth, the structured and full-bodied nature of the wine reveals itself. Balanced acids and focused ripe fruit flavors of raspberry and goji are framed by soft tannins. A striking dark chocolate note runs throughout, leading to the very long, rich finish of coffee and more berries. Enjoyable now, this wine may be cellared over the next four years. We recommend pairing it with pepper-crusted beef, chicken with rosemary or with your favorite barbecue fare.